People do this because they realise that it’s important to get the right financial product for them and that choosing the wrong one can have major negative impacts. 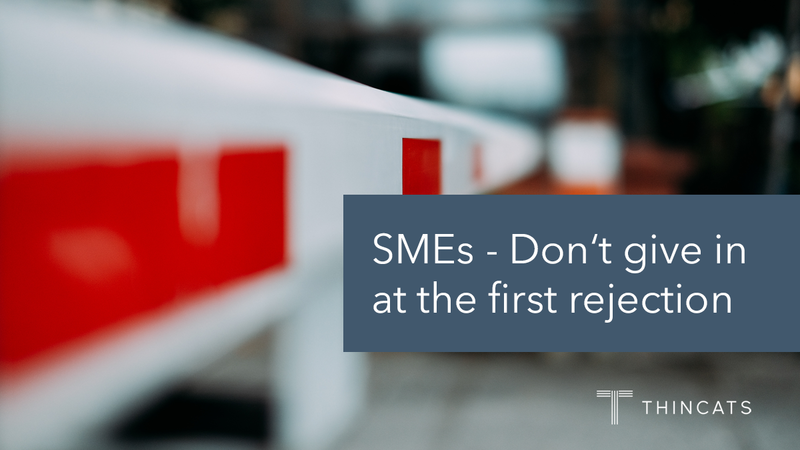 So it’s shocking to realise that many SME borrowers only approach one lender, with more than a third reportedly giving up after their first rejection. This is because the perceived choices for many borrowers is much smaller than the options they actually have available to them. Some 46% of SMEs have experienced barriers in accessing finance, with reasons given which include that lenders either do not understand the sector (12%) or do not understand the borrower’s individual needs (10%), according to research from Close Brothers. The main reasons SMEs have their applications rejected include: cash flow not considered strong enough, the business isn’t considered to have enough capital, or simply that their banks were not lending to SMEs at the time. After being rejected, 30% of SME owners instead supported their businesses with personal funds, according to the latest SME Finance Monitor. The same industry research reported that 60% of SMEs were not aware of alternative finance. This can be both stressful and unnecessary. It’s certainly true that banks have reined in their SME lending over the past decade. Reliance on algorithms and cutting back on staff with expertise in SME lending can also leave those businesses who do not fit into a neat category high and dry. To further exacerbate matters, as is indicated from the Close Brothers research, big banks often only consider lending against bricks and mortar. Most businesses rent their premises. Nevertheless, many have strong growth prospects and good cashflow – but this requires a willingness to lend against such security and the experience to understand the business model. Big lenders’ tick-box approaches often can’t accommodate this. ThinCats specialises in secured SME loans of £100,000 and above. We have sophisticated business modelling tools that identify SMEs in need of capital and with the ability to service those loans. Most importantly we have a team of financial professionals with a wealth of experience in working with SMEs to construct the sort of loan package that is as individual as each business. So, if you’re running a business and need capital to realise your ambitions, don’t dip into the family piggy bank. Speak to us.